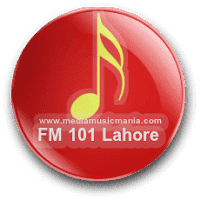 FM Radio Station FM 101 Lahore. This FM Radio is presently working in Lahore City with best quality service and providing best information and quality programs for the peoples of Pakistan and daily updates every day like FM 101 Islamabad. This FM Radio is commercial informational and entertainment and this Radio Station was launched on 1st October 1998 in Lahore Pakistan.